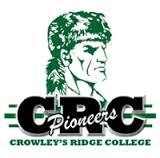 Crowley̠s Ridge College is a private, four-year, church affiliated but autonomous, coeducational liberal arts college, providing for its students a balanced course of studies appropriate for Bachelor and Associate Degrees. While the College is affiliated with the Churches of Christ, students of all religious backgrounds are welcome at Crowley̠s Ridge College. The student population comprises both non-traditional and traditional residential and commuter students. The College is committed to a continual emphasis on the integration of scholarship, critical reasoning, and the spiritual dimension of life. Preserving a commitment to a tradition of small class sizes and a philosophy of open enrollment helps the College maintain a focus on the whole student as an individual.